This is the invoice that was included in my package. It lists out the items I received and the cost to keep each. I think a 25% discount for keeping everything is pretty generous! This really fun sheet of cards was also included. It has a note from my stylist in the upper left corner. I really appreciate the personalization that goes into her selections! All the other cards are styling ideas for the items in my box. How clever! What a pretty top! It’s mostly a really soft cotton blend knit with polyester lace panels and crochet detail. I think the color is just beautiful, and the print is nice, too. I especially like the sheer dotted panels over the shoulders. So stylish! It’s a good color for me, and the cut is flattering. The cost is good, too, so I think I will have to keep this top. These jeans are also really cute! I love the distressing (although the phrase “distressed girlfriend” made me giggle!). They are a good length, and they fit well. The only reason I am on the fence about them is that I’m not wild about the light wash, and I also already have some jeans very much like these. I love the color of this top, and I really, really love the tulip sleeves! So stylish! Having said that, I am not a huge fan of chiffon. It just doesn’t stretch. This top is also a little snug. It will have to go back, I’m afraid. This top is my favorite piece in the box! Look at how pretty it is! I really like the colors and the print a lot – it’s different than what I normally wear, but still really pretty. The scoop neckline is also nice and open, and the ruffle sleeves are adorable. It’s a nice synthetic blend, but it doesn’t have that plasticky feel that some man-made fabrics have. Plus the cut is really flattering! I love it! Whenever you see something on my dress form, you know there was a serious fit issue. This dress is a poly spandex blend with plenty of stretch so while I could technically get it on my body, it was way too body conscious for my comfort level. I really like the beading, but I need a more open neckline, too. This one will also have to go back. The Verdict: I am a big fan of Stitch Fix! This month was a mixture of hits and misses, but really, really love the Papermoon and Daniel Rainn tops! I am enjoying my subscription to Stitch Fix so far, and I think their prices are among the most reasonable. I can’t wait for my next Fix! Value Breakdown: This box cost $20 with free shipping and returns. The total retail value of the items inside is $316. The cost of each item is listed alongside it above, but if I choose to keep at least 5 items, I get a 25% discount. The $20.00 cost of the box would also be applied to the purchase, meaning I’d end up spending $217 for the whole box. Ultimately, that’s a savings of about 31%. The average cost per piece in this box is $63.20. Just trying to find out if they carried any clothing in my preferred style was an exercise in being insulted and patronized so I have to say I would never use this service. I think that the idea of people expecting me to pay them to treat me like an idiot is a bit beyond the pale. Based on my interaction with them, they do not seem to think very highly of plus-sized women. I really loved your review! You sounded like me especially on last item. I don’t have a body form but I know what you mean about body conscious as a standard: being able to cram my body into fabric isn’t the same as wearing an item that fits well and flatters. I’m on my 2nd year of Stitch Fix and much was rocky as both sides figured things out. I’ve settled on asking for natural fabrics in my colors and lately ask mostly for shirts, sleeveless and short sleeves, since I’m always hot. I found a lot of pants in the first 43 Fixes. Finally found the OPEN KNIT cardigan I’ve been asking about for a year. They kept sending open cardigans which are not the same thing. I’m getting ready for Fix 44 and I’m excited! I used to just let them send whatever pieces but they changed stylists and I kept getting misses rather than hits. Sorry for rambling! Thx for your great review! Is it just me or are the clothes cut super small? I can always count on a 24 everywhere else but the 24 has been snug on every single item! I haven’t found anything I can keep and I’m pretty sure that’s the largest size they carry. Honestly I wouldn’t keep anything from this box. You can find similar stuff somewhere else for much cheaper. Nothing looks worth the high prices. A coupon for stitch fix is a very rare find. But I still love them. My last box was a total win win. I like the blue shirt and light jeans on you. I am probably about your age and feel the same way about light jeans. My college age son, however, says light jeans are the style right now so I let him talk me into a pair. I only wear them with him as I still can’t get used to them. They feel too casual for me. I light really dark indigo jeans. They feel more polished but I’m not opposed to wearing something a bit more “hip” on occasion. I think you should keep the jeans. The title has coupon in it – is there one available? Shucks 🙁 If anyone comes across one, please share! On a positive note, the blue shirt and jeans look great on you, Anna! that first blue top is just amazing!! 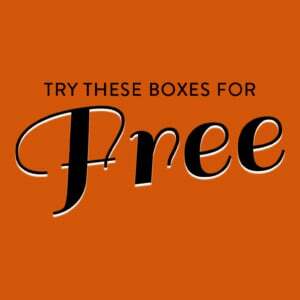 "If I had to guess, this was probable a free gift, you should get an actual box from them. I just received mine t..."
"It does not matter what the site shows today! We paid weeks ago, when a completely different box was shown on th..."